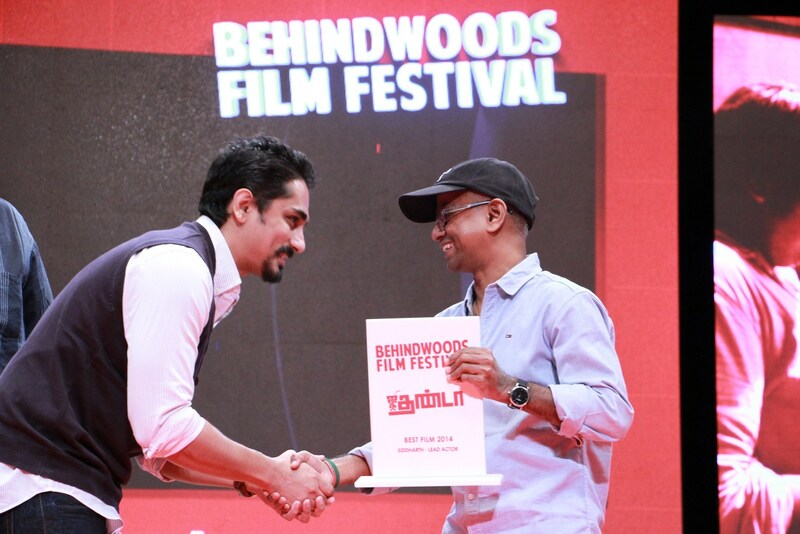 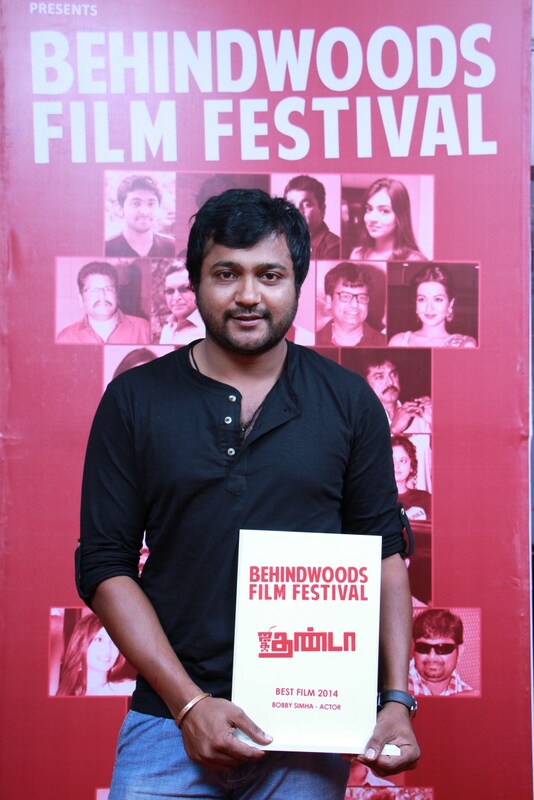 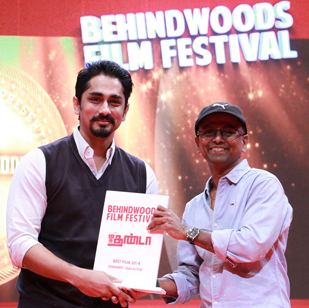 JIGARTHANDA: TEN BEST TAMIL MOVIE OF 2014 - BEHINDWOODS FILM FESTIVAL 2015, CHENNAI. 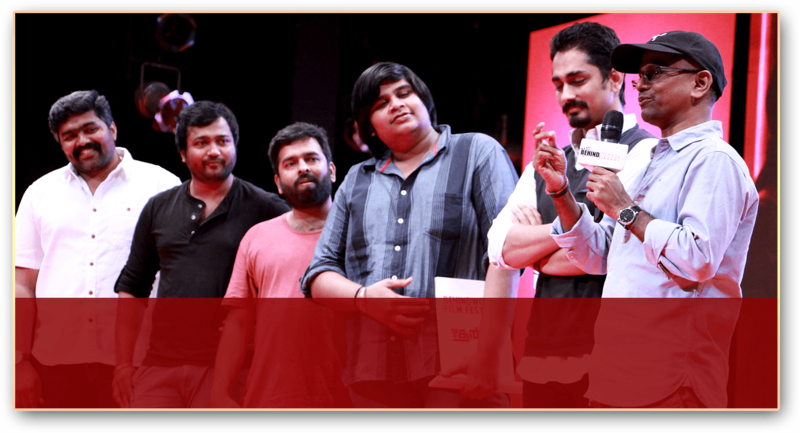 A sumptuous feast for an eager audience. 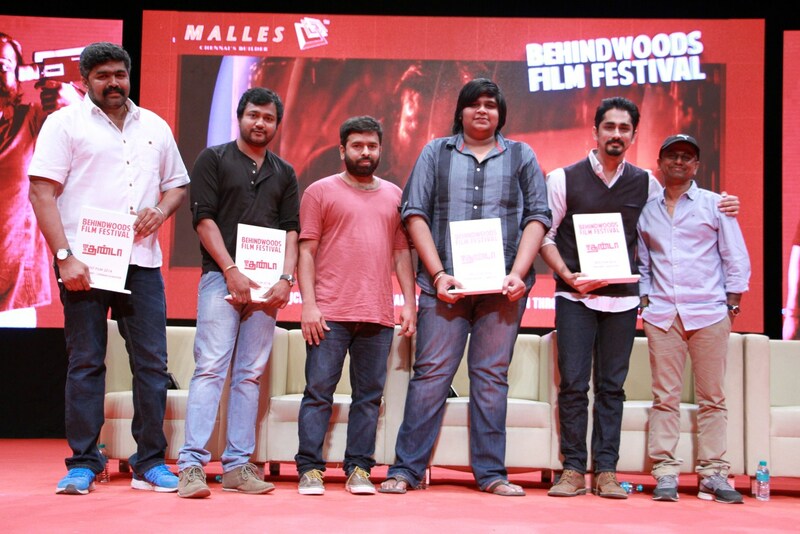 The 2nd edition of the Behindwoods Film Festival (BFF) celebrated 2014's Ten Best Films that touched our hearts and are etched in our memories. 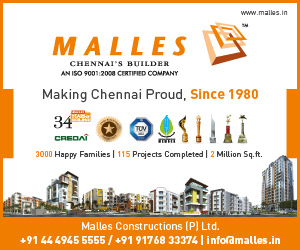 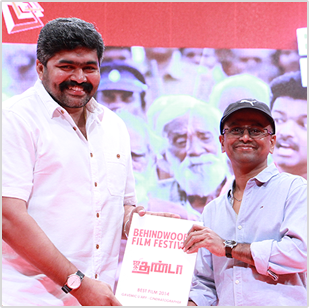 The movies featured were Goli Soda, Mundasupatti, Pisaasu, Kochadaiiyaan, Madras, Vaayai Moodi Pesavum, Saivam, Velaiyilla Pattathari, Kaththi and Jigarthanda. 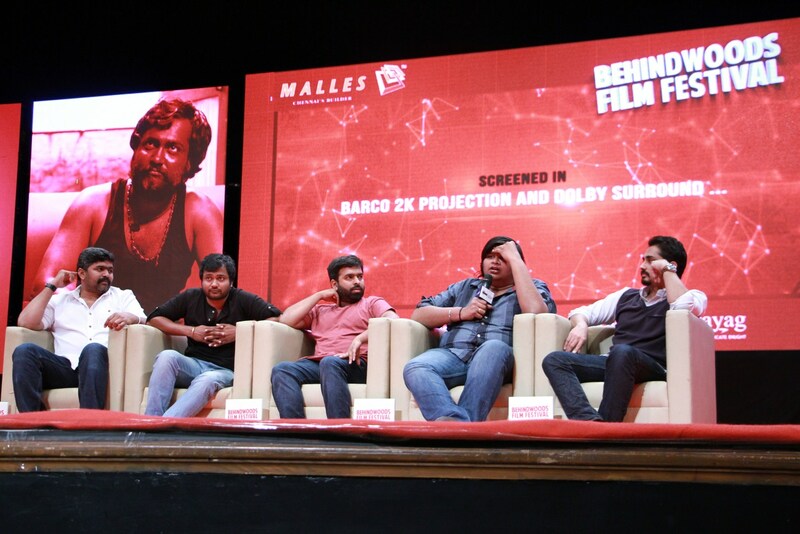 The festival kicked off with the screening of these ten movies from Jan 23 to 25 at NFDC's Tagore Film Center. 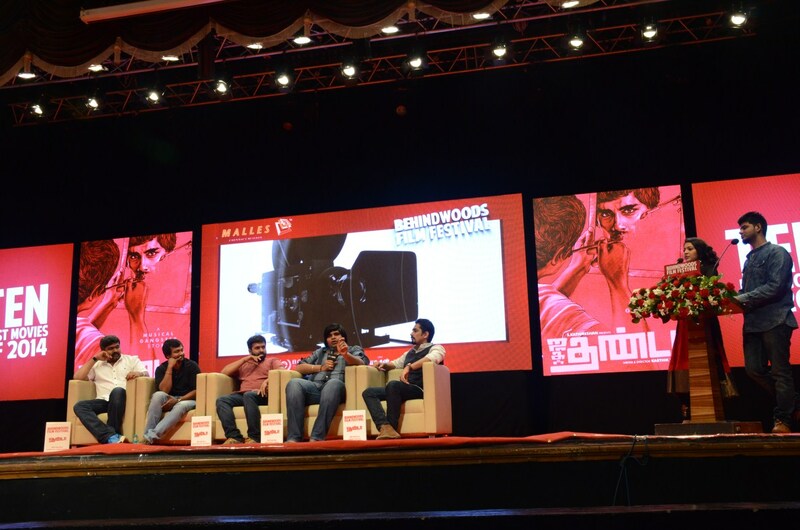 This was followed by an interactive workshop on Jan 26th at the Lady Andal Auditorium, involving the cast and crew of each film with a lively audience. 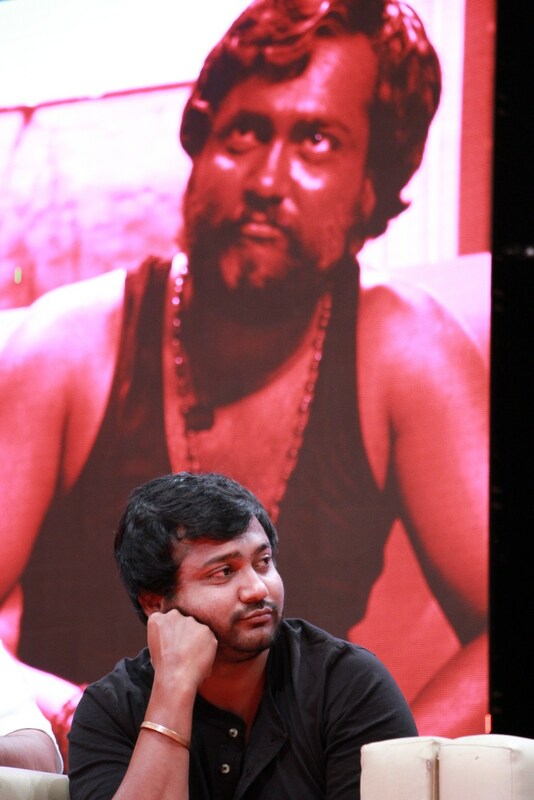 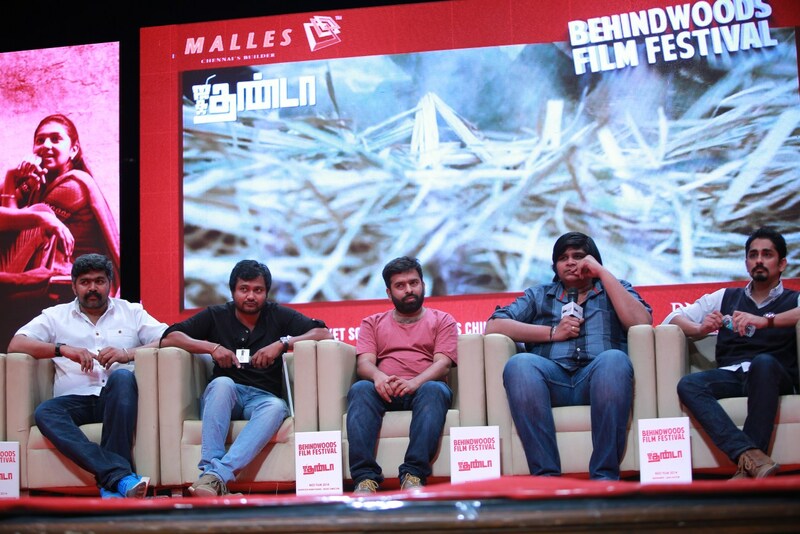 For the Jigarthanda discussion, on the panel we had Siddharth (Actor), Karthik Subbaraj (Director), Bobby Simha (Actor), Santhosh Narayanan (Composer) and Gavemic U Ary (Cinematographer). 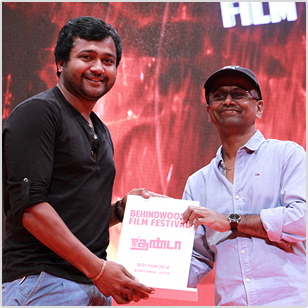 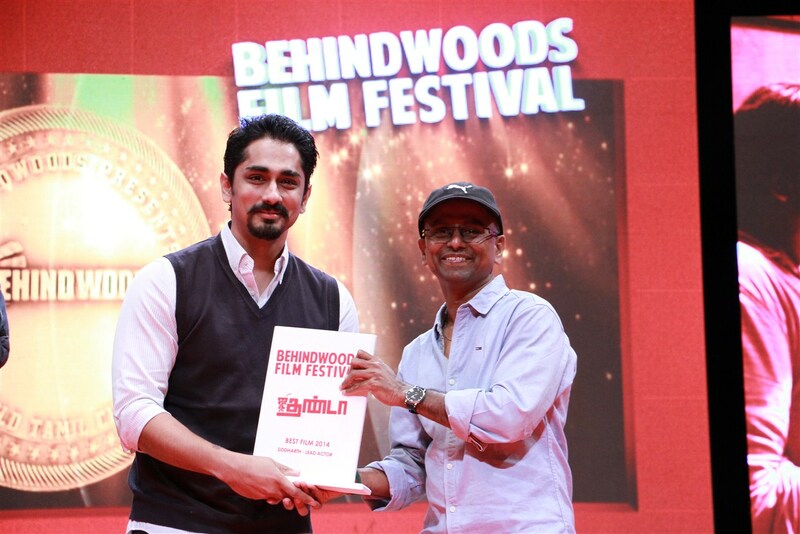 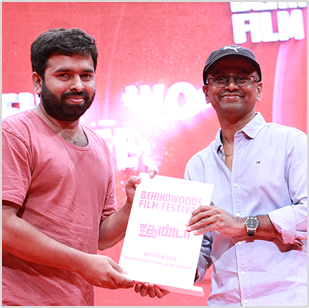 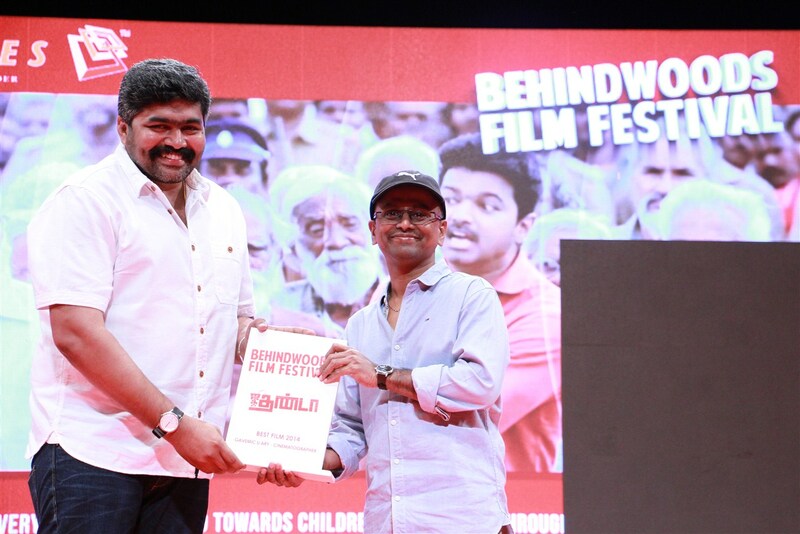 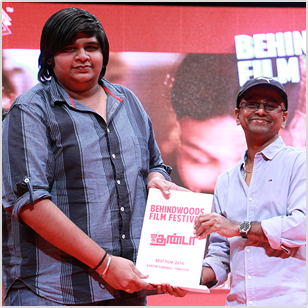 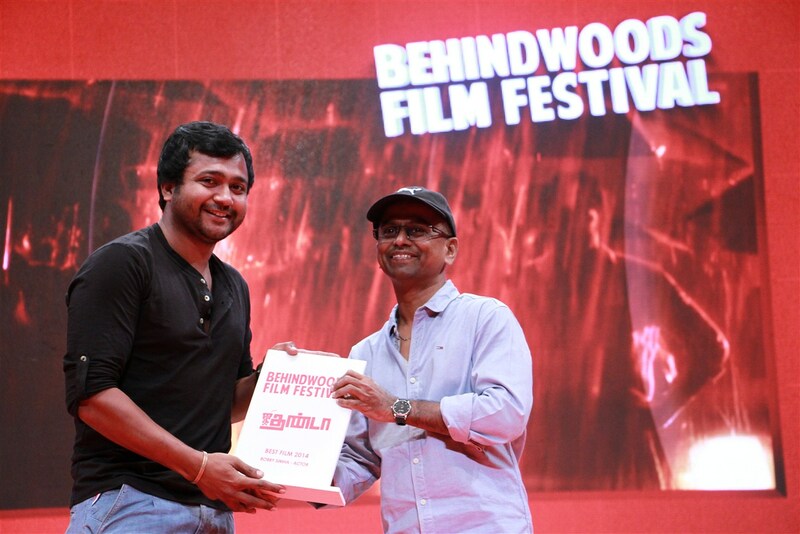 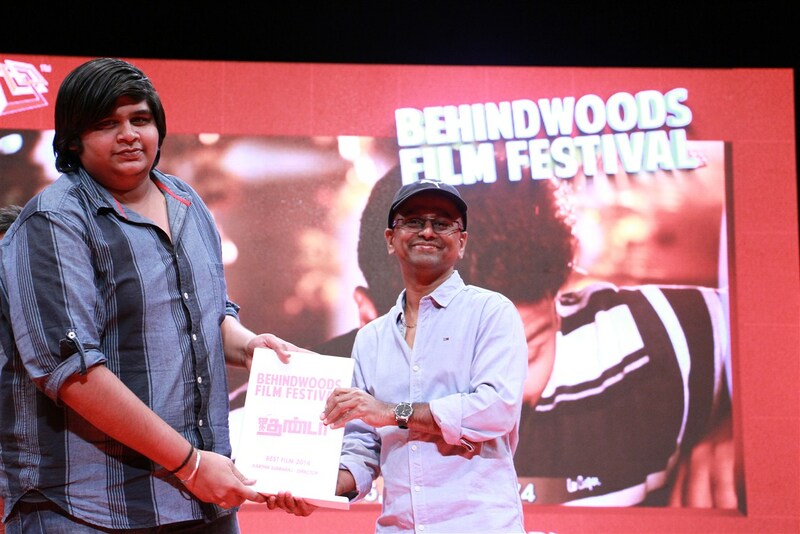 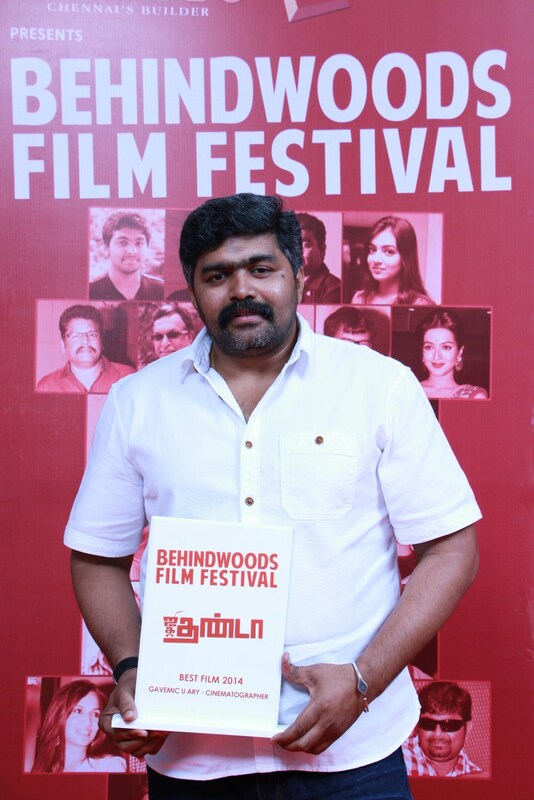 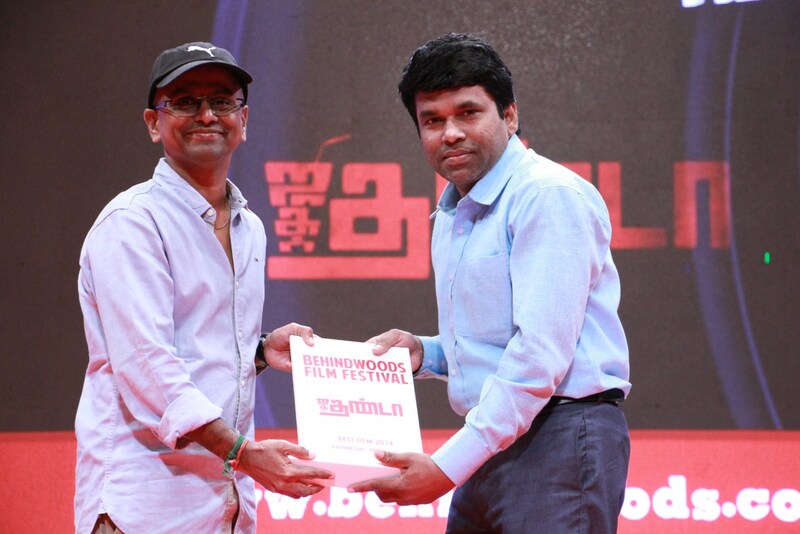 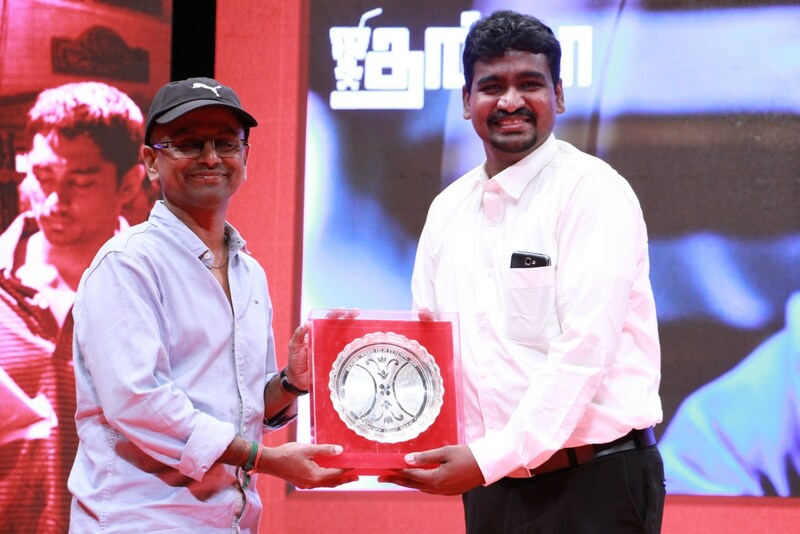 The guest of honor for this session was director A.R.Murugadoss who was only too happy to take part in this happy moment, and hand over the Behindwoods Film Festival awards to the Jigarthanda team. 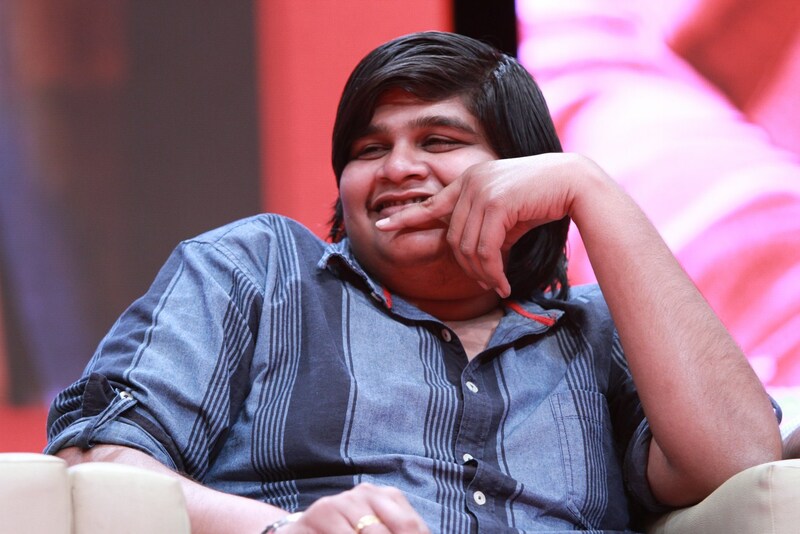 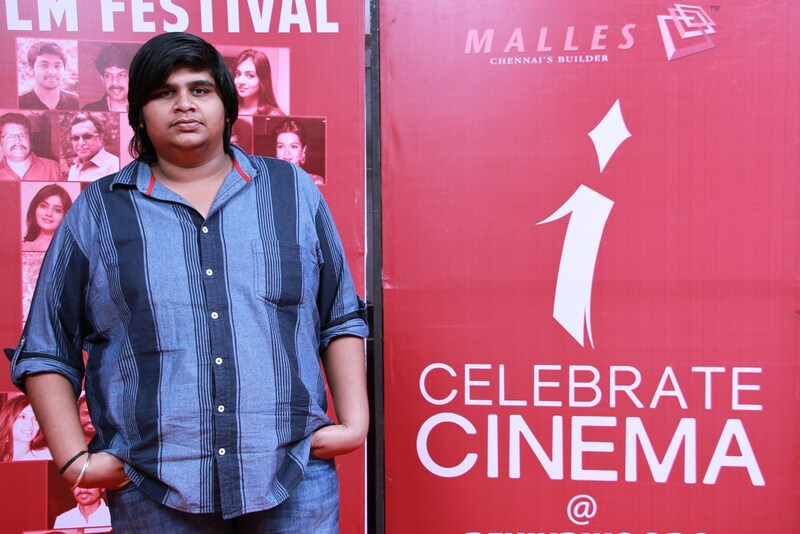 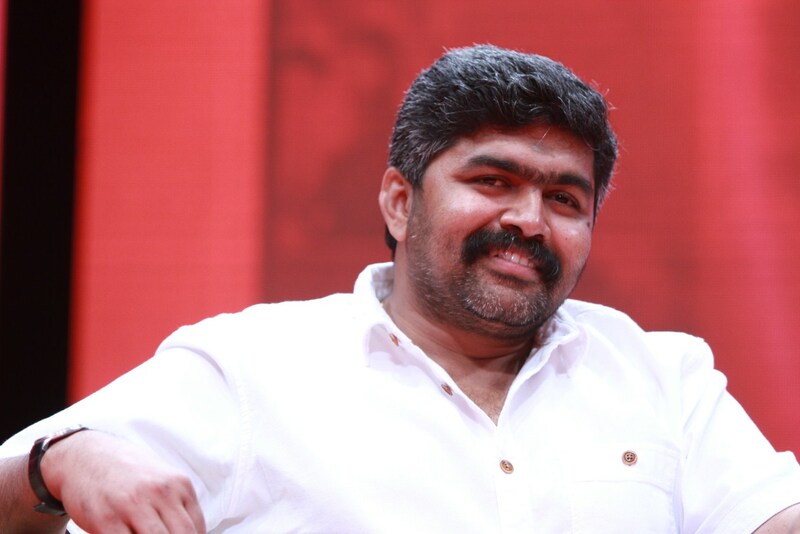 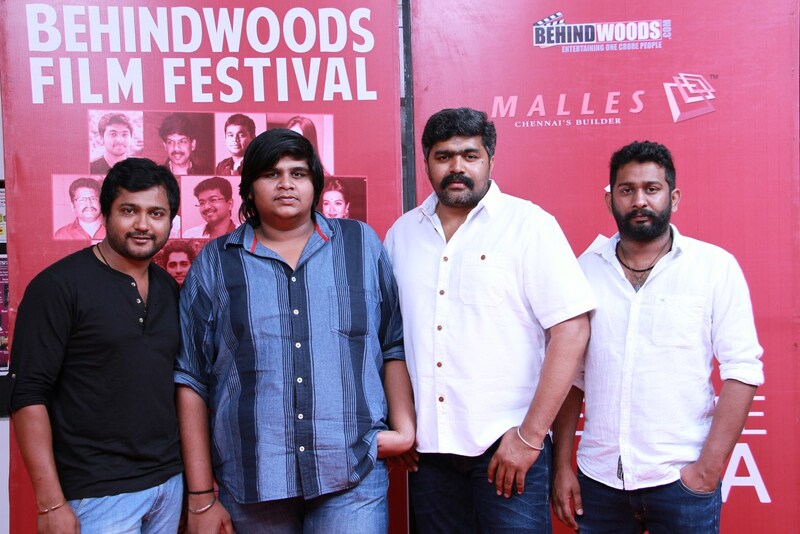 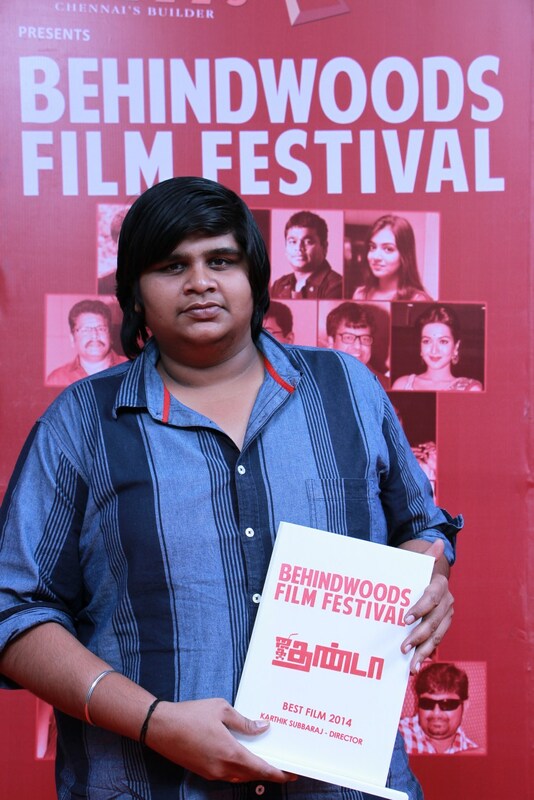 Karthik Subbaraj was flooded with questions as expected, while Siddharth expressed pride and satisfaction for having supported Subbaraj's venture. 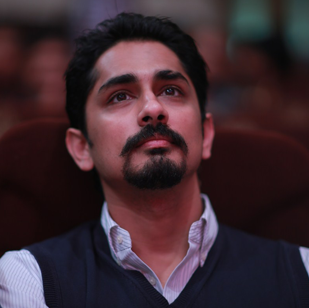 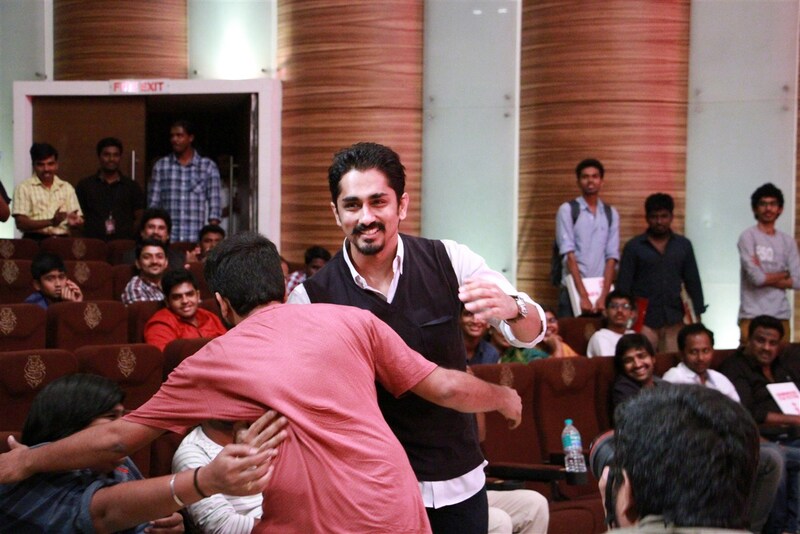 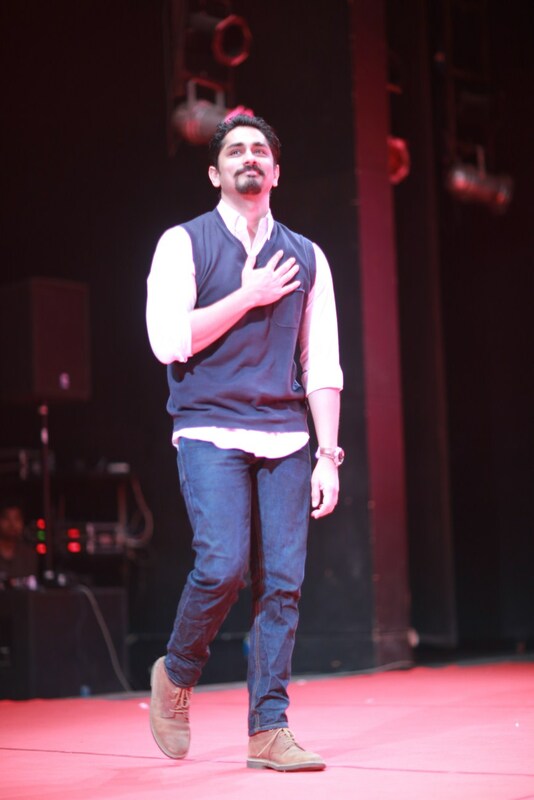 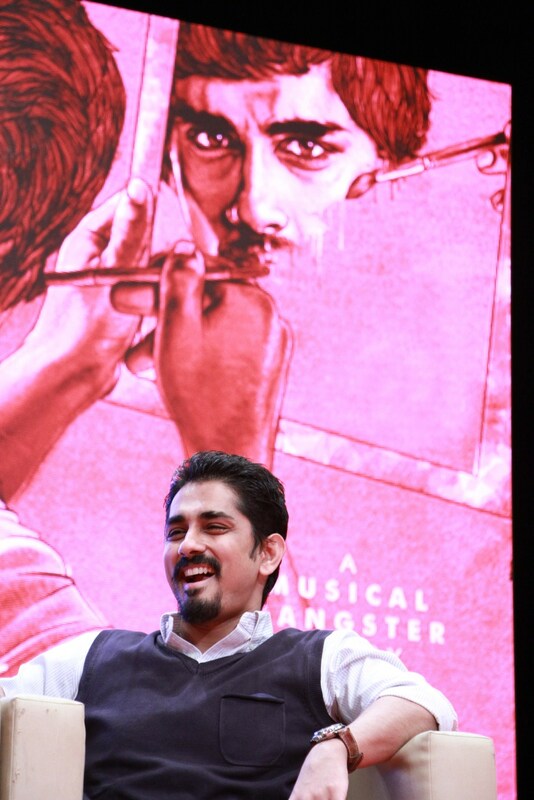 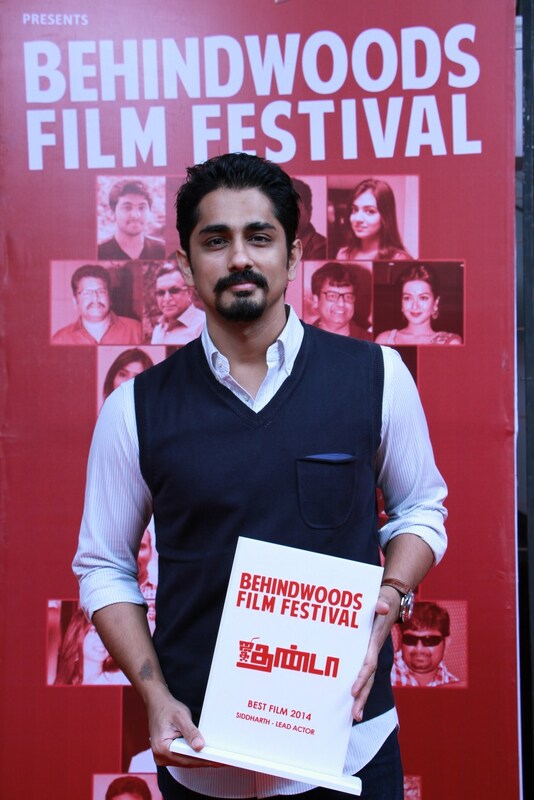 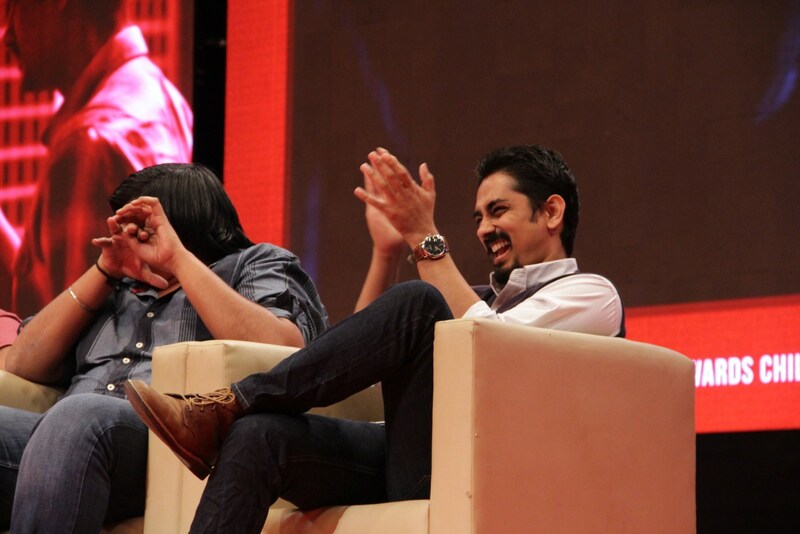 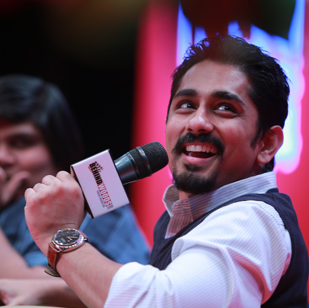 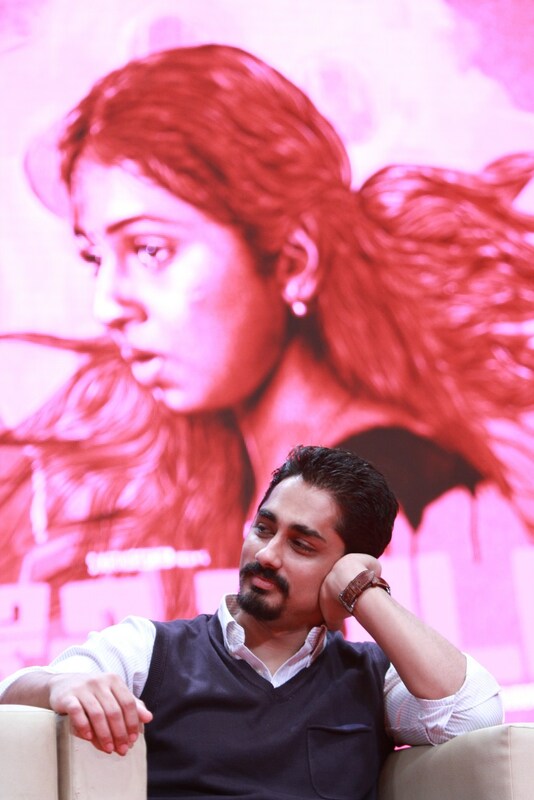 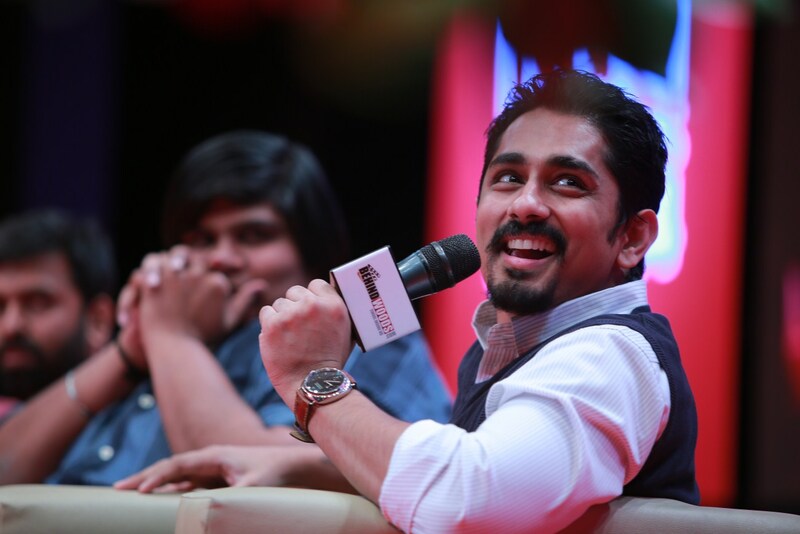 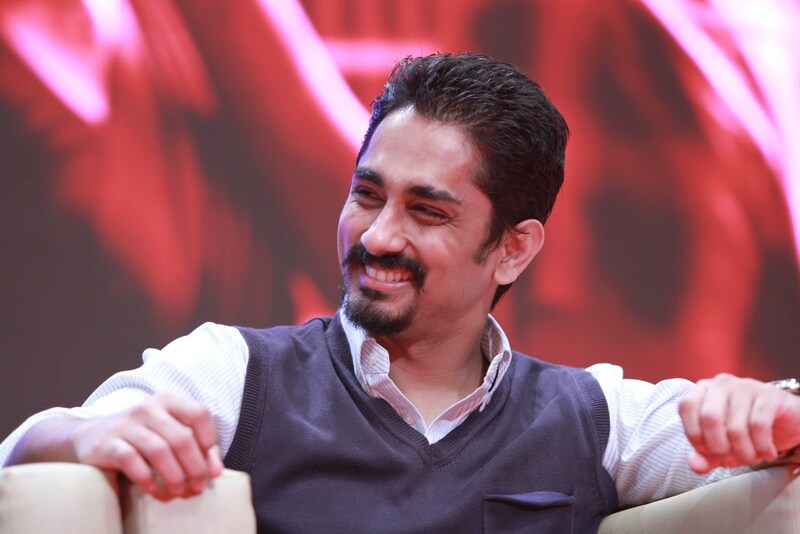 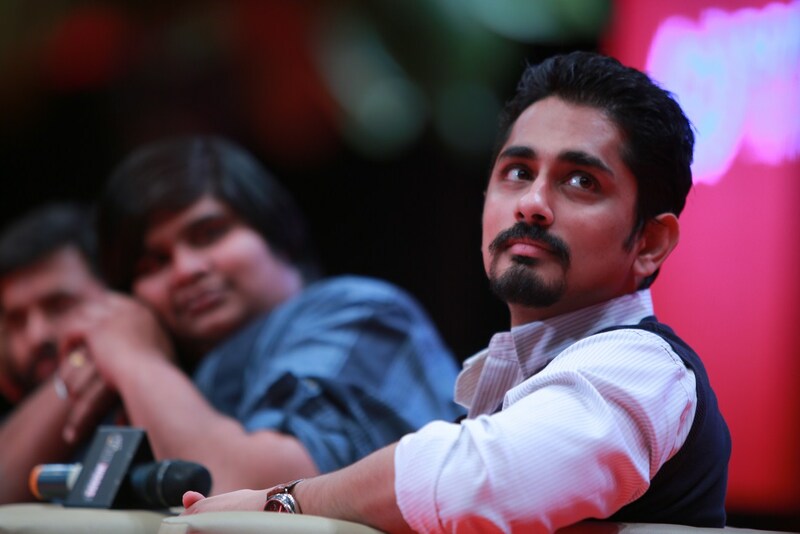 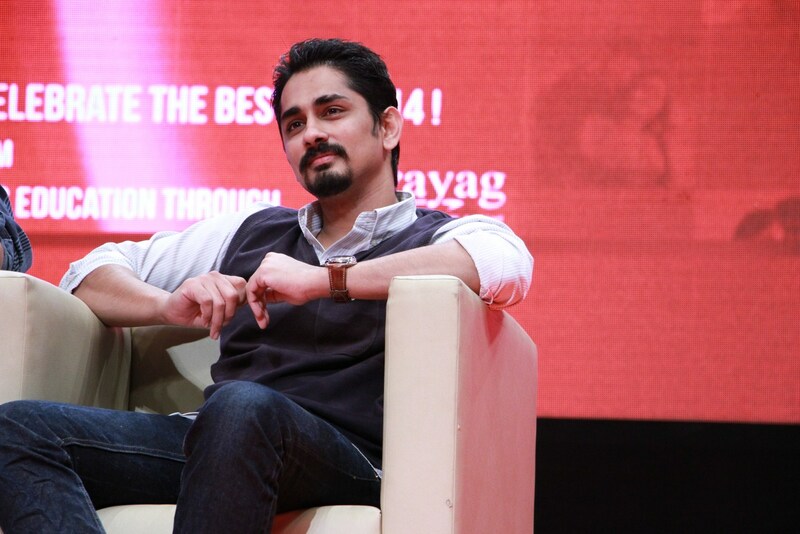 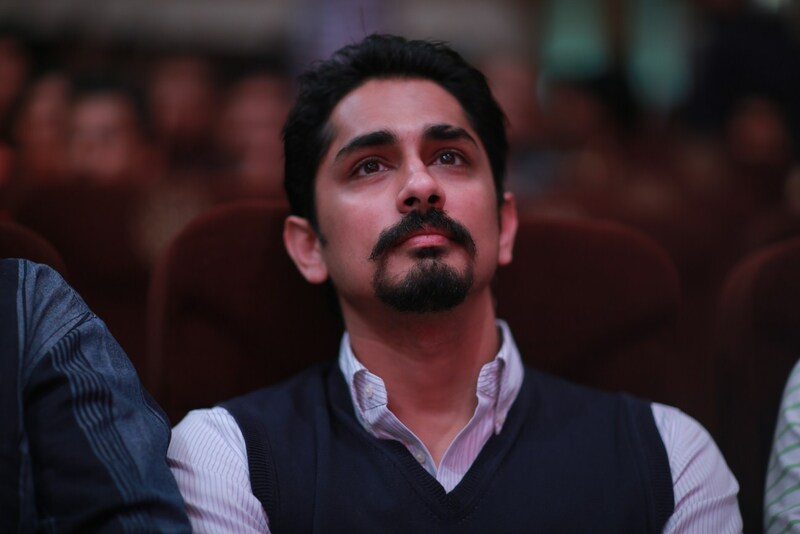 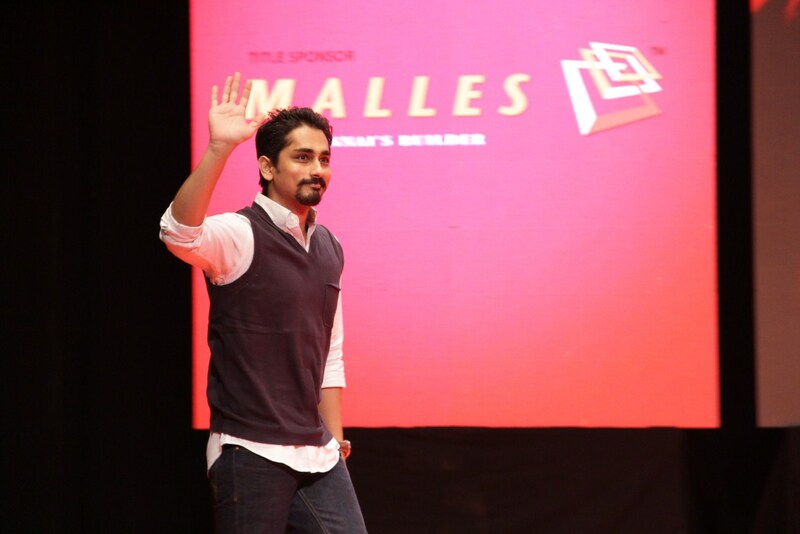 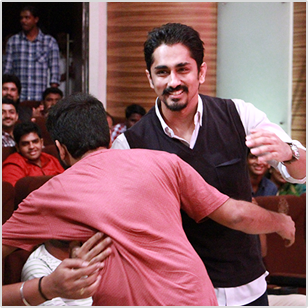 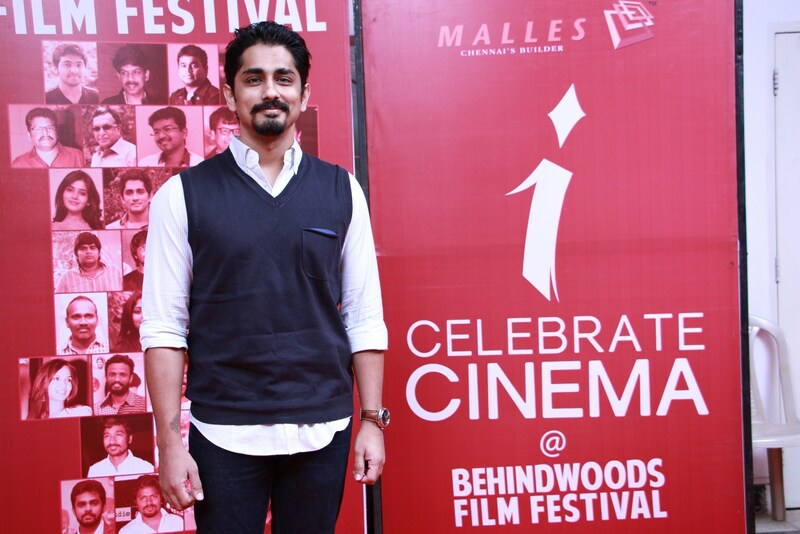 Siddharth likened Jigarthanda's impact to Rang De Basanti's and spoke very highly of Karthik and his young team. 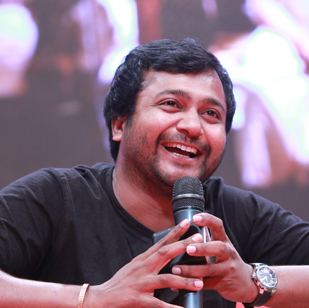 There were plenty of light moments in this interaction surrounding Simha and his supposed lack of fluency and understanding of the English language. 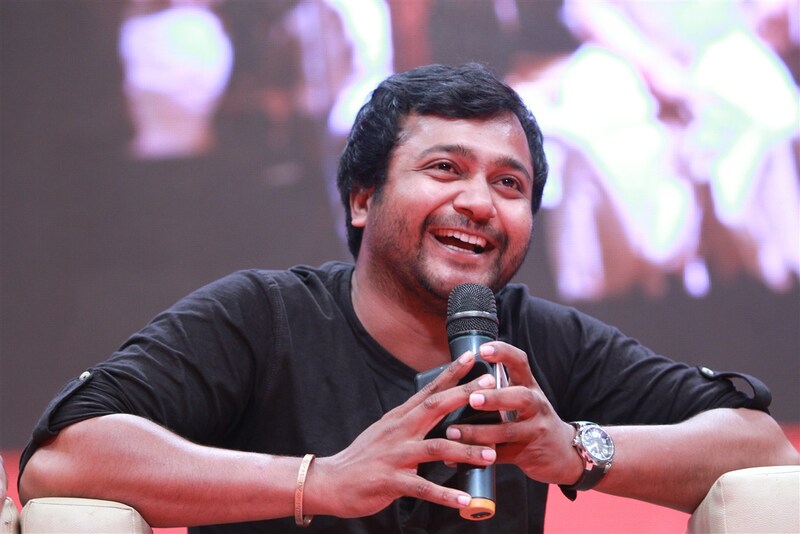 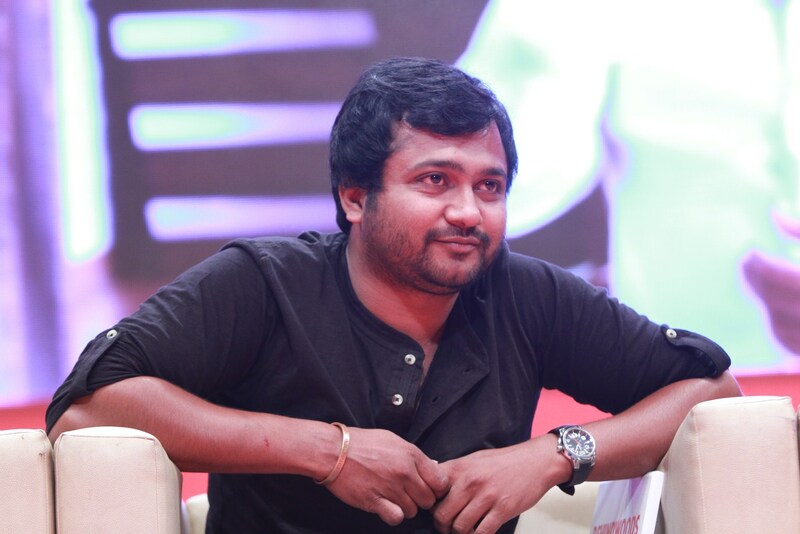 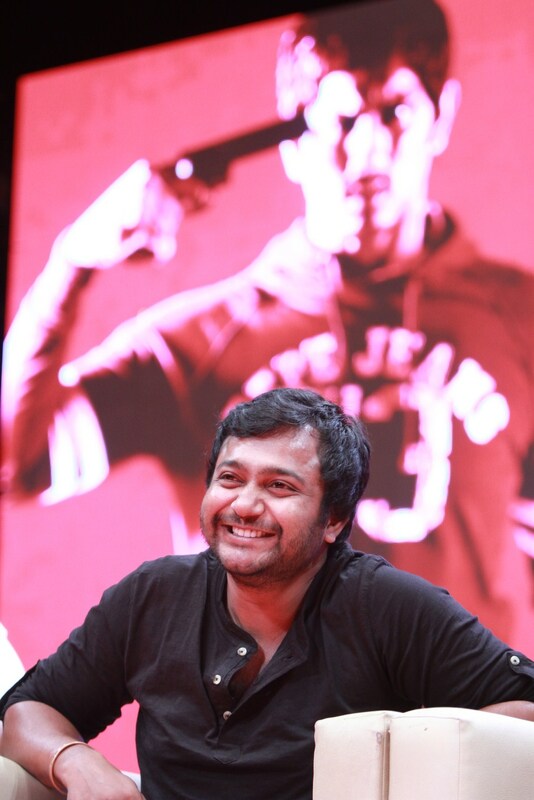 Simha handled all this notorious adulation very sportingly and also stepped into the shoes of 'Assault Sethu' while speaking out one of the popular dialogues from the film. 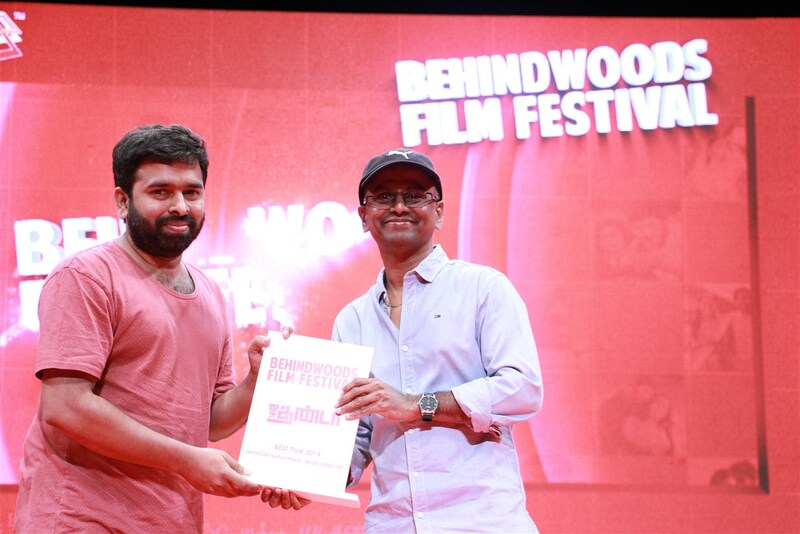 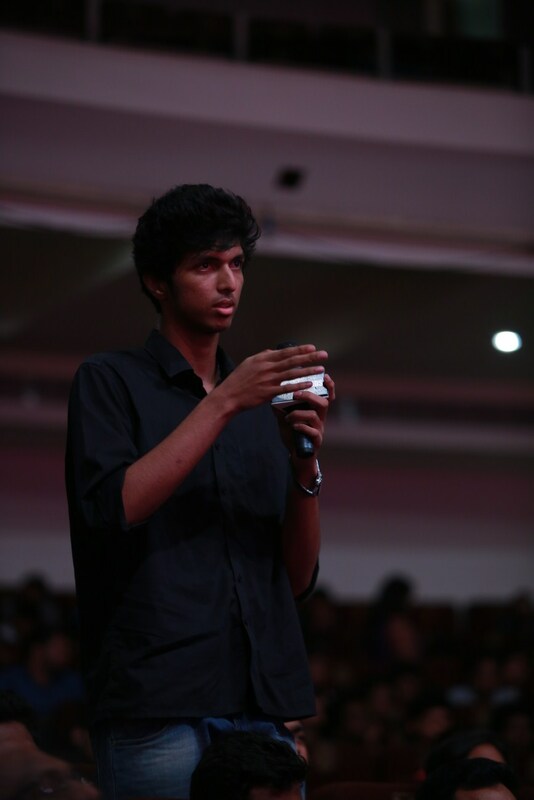 Santhosh and Gavemic also received their share of the spotlight from the musically and technically inclined members of the audience. 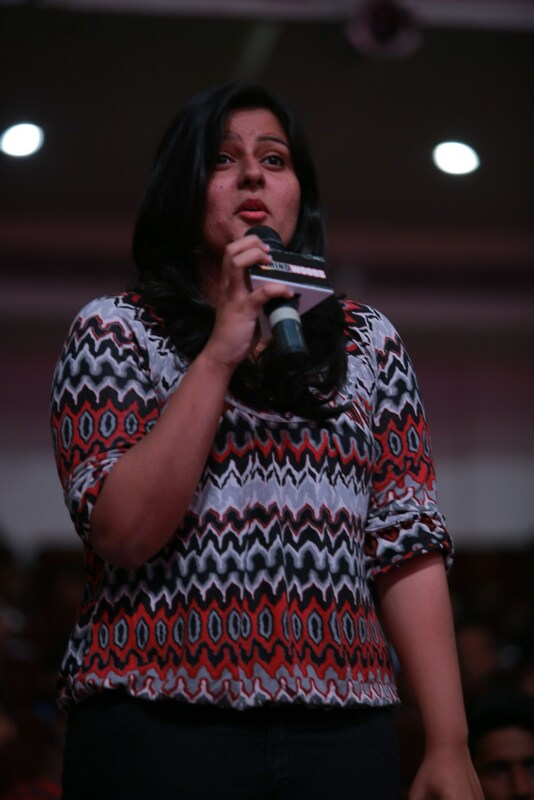 It was a sumptuous session indeed.